A young man passionate about art and architecture, Christopher Weil, is part of Adrian Van Hooydonk’s design team at BMW and responsible for the exterior design of the new F30 BMW 3 Series. 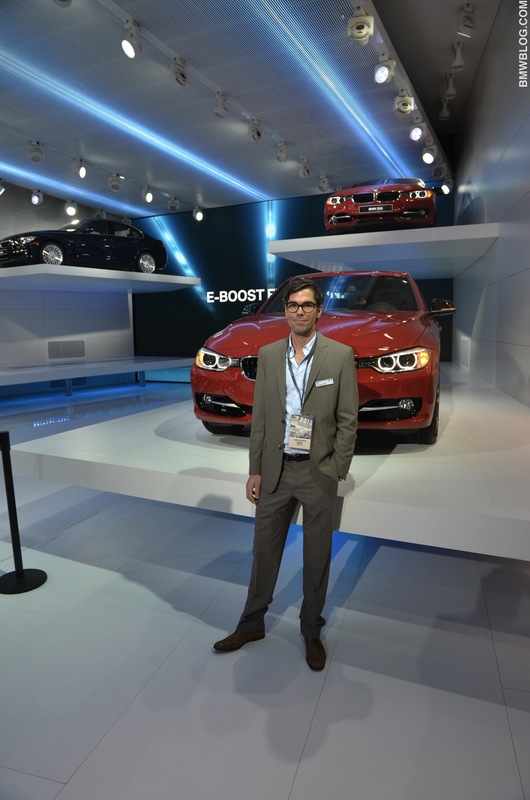 At Detroit Auto Show, our own Shawn Molnar spent some time with Weil to learn more about the design language of the iconic 3 Series. 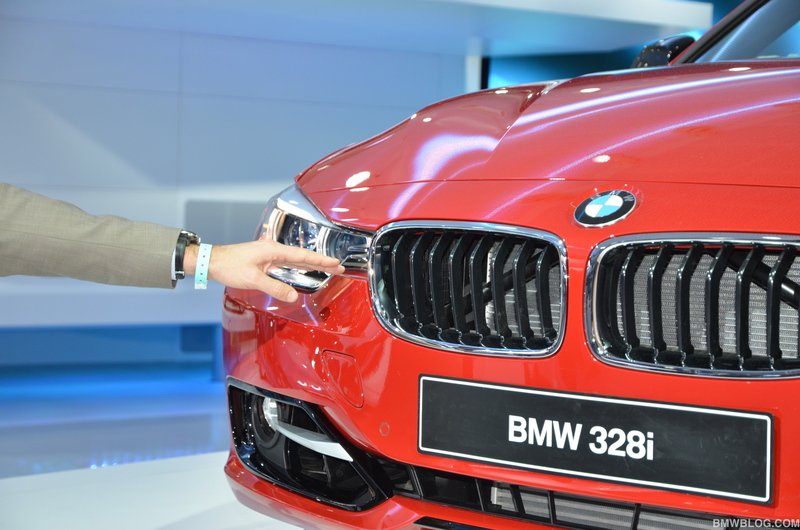 BMWBLOG: Chris, can you tell us what have you done with the design of the new BMW 3 Series? Christopher Weil: First of all, the BMW 3 Series is completely inspired by history somehow because the 3 Series itself has a great history. That’s why I wanted to bring back some strong elements, like the unit between the kidney grille and the headlamp area, this connection between them. There was already a connection in the past, if we take for example the E21 or E30 – the first 3 Series, they had a headline unit with a black panel, which was leading towards the kidneys, and this here is a modern and fresh interpretation of this unit. The kidney itself is also tri-dimensional, and with this sharp cut and this piece of chrome the kidney looks more solid now, more tied into the car, like it’s a solid block, like a jewel nicely integrated into the whole body. As the kidney is a very strong icon – the main BMW icon, I would say – I wanted to emphasize this particular item to develop it further, somehow. 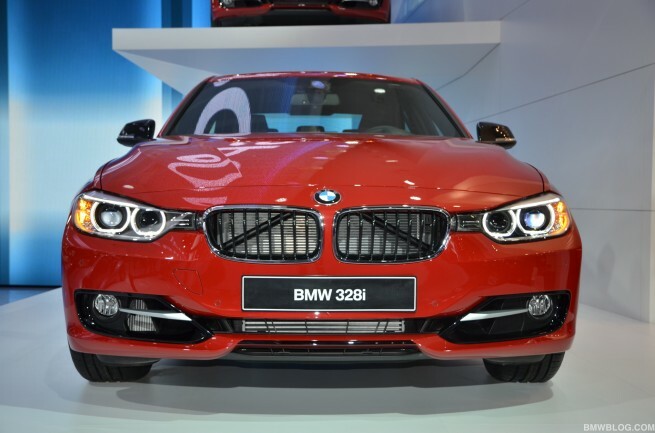 BMWBLOG: Are there other design elements on the new 3 Series, anywhere else on the car, that are sort of new, or back to be resurrected, like the connection between the headlights and the kidney grille? Christopher Weil: If we look lower, we have an aero tech theme with one small band in the middle and two big openings on the sides, which is also new for BMW. We tried to develop this theme towards sportiness, because this is the sportiest sedan we offer. If you take the roof for example, the hood is sloping towards the front – it has a nice sweep and this is also a very sporty element, the way it drops down and the whole body side is enhancing the sportiness. We also have the double zicke line – which we see for the first time: the zicke line starting at the headlamp, running through the rear door, and the second zicke line, which is starting at the front fender and all the way to the back. This is a new approach, because I wanted to bring a lightweight feeling on the car, and somehow to visualize, if possible, the EfficientDynamics theme. The air curtains are also very important for the aerodynamics of the car, and they’re working really well. Aerodynamics is fantastic on the 3 Series. BMWBLOG: The BMW 1M was the first vehicle to use the air curtain technology on a BMW road car. However, we see that now on a 3 Series, but it’s much more hidden. Can you tell us about the way that you incorporated that technology into this car? Did it play much of a role in terms of the styling of the vehicle? Or was it just was more for functionality only? Christopher Weil: It’s basically for functionality. On the Sports Line edition you don’t see it too much, because it’s covered – it’s in the black panel, but if you look at the basic version, you see it as a subtle detail. But we wanted to show it, we didn’t want to hide it. BMWBLOG: We know that the drag coefficient for the 3 Series is very commendable, 0.26. Are there any other design highlights that really lend themselves to the aerodynamics efficiency of this vehicle? Christopher Weil: For example the corner line of the car is also improving the aerodynamics. Then we have a really wide rear-end, which is not good for the aerodynamics, but we really wanted to have this approach because the car has a good stance, also from rear-view. There was a lot of development done on the underbody of the car. It’s nearly completely covered and a lot of aerodynamics is happening where you don’t see it. There’s also a kind of a diffuser at the back, you can see it only if you look very closely. We worked with an aerodynamic engineer from F1 during the process. I told him we wanted to show aerodynamics on certain parts, like the front – which is very important, but not to affect the car design too much by aerodynamics, so he tried to implement everything in the underbody, and this was very important in this project, as he came up with very intelligent ideas. BMWBLOG: One thing we wanted to ask you about the front of the car – the way the hood comes down and meets the front fascia, there’s this dividing line, where the hood actually closes above the badge, as opposed to right at the kidney grille, as it did historically. Can you tell us the reason for this switch? Christopher Weil: It’s serving many purposes: The main reason is the shark nose. The shark nose on this car is even more enhanced, leaning forward. If you hit the car during a crash, the hood will be damaged immediately. When you have a shark nose, you can’t apply the usual design solutions, so you have to move some lines in a certain distance to the front. Another reason is related to pedestrian safety, but mainly it’s because of the crash regulations. Plus the maintenance considerations, because it’s cheaper to repair it in case of a minor crash. BMWBLOG: Moving around from the front to the sides and the back of the vehicle, this double sickle line that starts from the headlights and works its way back and the second one from the wheel arch all the way back to the back of the vehicle – is there anything new or different to the back of the car, besides the rear diffuser you’ve mentioned? Christopher Weil: The rear end is looking rather solid, classy and elegant, this was our approach. We wanted to connect the car to the higher class – for example the 5 Series because the BMW sedans are one family in general, even if every member has its own character. The rear-end has a typical 3 Series approach, so if you take the rear, there is a line above the headlights which is coming down, and the line from the bumper which is sloping upwards, so the rear-end looks fit – that’s a typical BMW 3 Series theme. Of course, it had different interpretation in every generation, but it still remains a 3 Series theme. We wanted to give width to the car and to give a fresh approach also from rear-end, but the differentiation from the previous generation is not too significant. But if you look at the angle in the front line, you’ll also find it in the taillights, so there is a connection between the front and the rear. 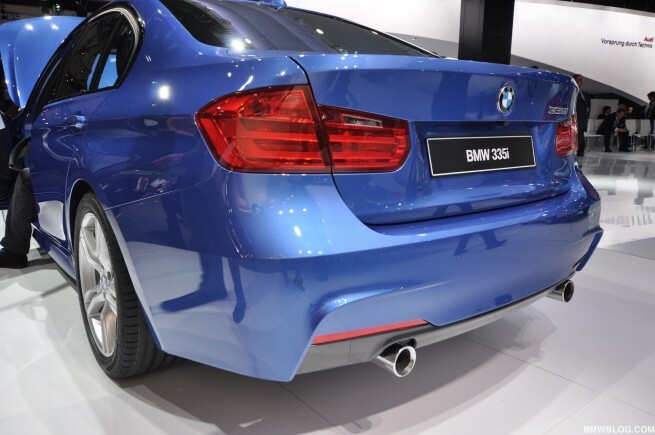 BMWBLOG: Are the rear wheel fenders more flared than they have been on the previous 3 Series? Christopher Weil: Yes, they are. They evolved – the shoulder is typically a 3 Series one, the angle is really upright somehow. The fenders look really strongly modeled there, like sticking out of the car and providing a muscular look to the car; the reason for this is that it was important to integrate the fenders really well and to give the car power and to emphasize the rear-wheel drive. These are the first three themes, but if you own the car for a while, you will discover there are more. It’s important that the car still has some surprises for you, when you own it for several years. BMWBLOG: The 3 Series is BMW’s most important car in terms of volume, and for sure profitability. When you designed this 3 Series, did you do back and focus on a particular 3 Series from previous decades, that you wanted to draw from, for inspiration? Christopher Weil: Not one in particular, but I looked at early 3 Series models because at the beginning when I started to work for BMW , I had an E21 and I really think the 3 Series had a strong and unique character. Any 3 Series has this character, but it’s also developing, so I looked really deep into history and I think there are some visual things which I’ve liked and tried to implement in this car that have to do more with the treatment of the surfaces. BMWBLOG: Do you still own your E21? Christopher Weil: No, I sold it, it was too old. I’m driving an E46 Touring right now; it’s one of my favorite 3 Series. I like all the other ones as well, but this one expresses a pure statement, somehow. BMWBLOG: Looking at the big picture of design with the 3 Series, is there anything else that you drew inspiration from? Architecture, art, or music? Christopher Weil: It’s like this: if you are a designer, you are inspired by anything, basically by life. I’m inspiring myself also with art and architecture, but you can’t say: “I took that piece out of that building and brought it into the car”, or “I’m inspired by one particular chair”. Let’s say that life is inspiring and you need a lot of inputs to give some outputs, and if there is something mind-blowing then I’m really glad if I discovered it. 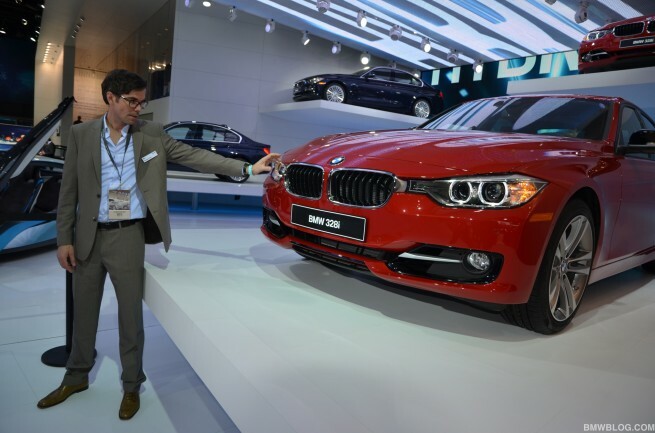 BMWBLOG: The 3 series keeps growing, incrementally, generation after generation. Do you use certain techniques to hide this size increase, to try to keep the car looking smaller? Christopher Weil: Sure, there are some tricks to do so. One example is the double zicke line: since the optical weight above the front wheel at a 3 Series is usually lower, and you don’t have metal sheets over the front wheel, this is exactly what the upper zicke line is doing, hiding the weight. We are also using the interplay between shadow and light to create a certain image and hide weight. BMWBLOG: The current BMW 3 series is not so far off the size of the original 5 Series, and yet it still looks like a 3 Series, not a 5 Series, so there is a continuity in terms of unique, bespoke, stylistic features of the 3 Series, but also size-wise. Christopher Weil: We also did some very thin looking A-pillars and B-pillars, C-pillars super slim looking from the outside – that’s also one of the 3 Series theme, helps hiding the weight of the car. BMWBLOG: Were there any design challenges you faced while designing the 3 Series? That you had to overcome? Christopher Weil: Of course you have to overcome the selection process, that’s the first hurdle. Then you have to find the compromise with the technicians, who are dragging you in one direction, while you have to keep your original design. But in case of this car there was a very harmonic process, the interplay between the engineers and design was really good and everybody was going in the same direction. I think the result is this design language, that was really harmonious. BMWBLOG: When it comes to the interior of the car, we know that you focus on the exterior, but are there any continuous themes in terms of style? Style elements that continue from the exterior to the interior? Christopher Weil: At the interior, the main theme was layering, you have surfaces which are overlapping other surfaces. We also tried to bring this to the exterior somehow, but with metal sheet you can’t do everything you want. You may see some hints in this direction, but it is too far away to say that you found a layering theme on the exterior. The sickle line was originally hard-cut and more layered than it is now in the production model. And then you have some nice and easily curved lines which are connecting the exterior and the interior. BMWBLOG: We’ve spoken earlier that there are some continuities between the different vehicles in the line-up, so we know there are some unique features on the 3 Series that aren’t found on another vehicles. But have you been trying to get this car closer to the 5 Series, for example? In terms of the feel, like for example when you walk up to the car, you want them to have the level of sort of prestige, when they’re entering a 3 as a 5? Christopher Weil: It was not the intention at the beginning, but the car has developed during the 3-year design process. I think it’s good that there are some resemblances because if you look at the BMW in the past, you had a strong identity of all the sedans and now you’ll find it again. But every car has its own character and that’s important. I think people will also realize, or see it later, that the similarities are not too strong, not too big. BMWBLOG: Is there something you want to take from this 3 Series and you’d really want to see in the future, accentuated? Christopher Weil: I think it’s important to further develop the themes that I implemented. As the 3 Series is a car which is appealing to a great variety of people, it has to have this right balance between the elegance and sportiness. 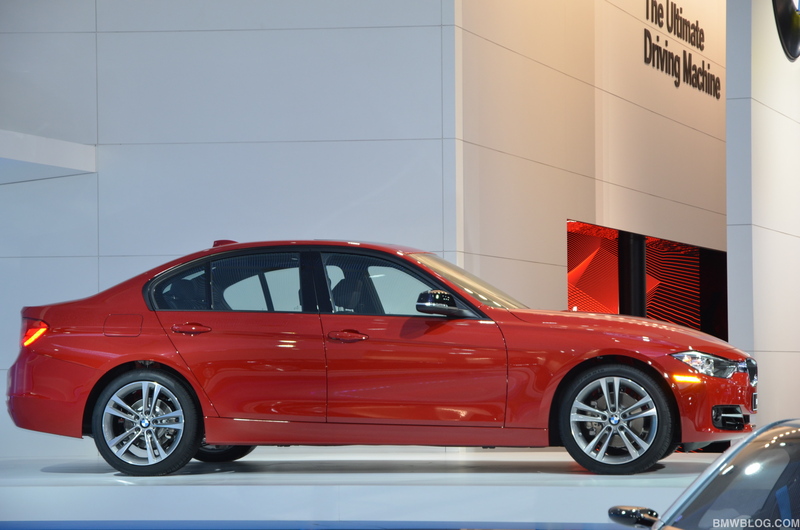 BMWBLOG: Could you describe the ideal 3 Series buyer? Christopher Weil: There is no typical BMW 3 Series driver because the car doesn’t appeal to a single demographic category only, so everybody could drive it, from a 20-year old to a 85-year old. I think that in the past social climbers were driving this car, and I think this will be the case also with this car. The car is made for everybody, plus now that we have the three character lines and people can configure their cars to their own character. And I think this will also bring different customers to BMW, because for example Modern line is made for different people than Sports Line. BMWBLOG: Can you tell us more about the three different lines, Sports, Luxury, Modern? Christopher Weil: We tried to give the car a different character with that package that includes interior and exterior elements. You can choose any color that you want, but unique for the Sports line for example are the kidney bars, which are more tri-dimensional, wider, and really curved. Then we have these high gloss black elements in the lower area and specific wheel design for the car, and the interior is totally connected to it – so you have your own interior world, a very sporty world, and you can choose between black and brushed aluminum, some red accents if you like, or high-gloss accents. And each line has a holistic approach, and I think it gives the car a strong and unique character. 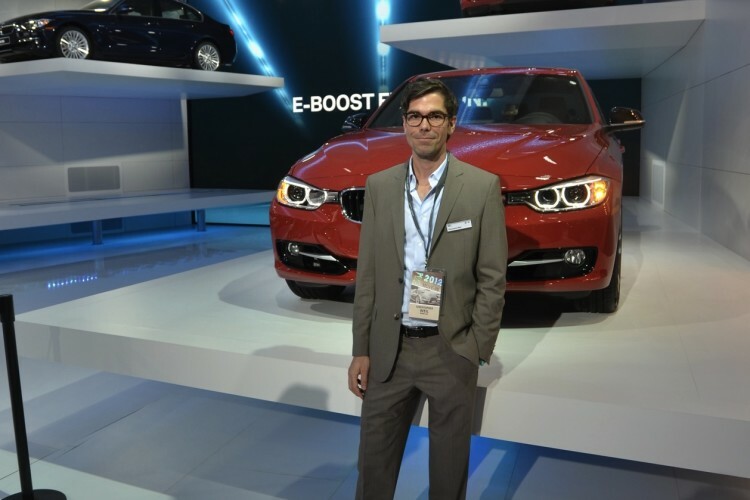 BMWBLOG: Christopher, thank you very much for your time! Head of exterior design at MINI – Christopher Weil – explains the new MINI Vision Next 100 Concept.